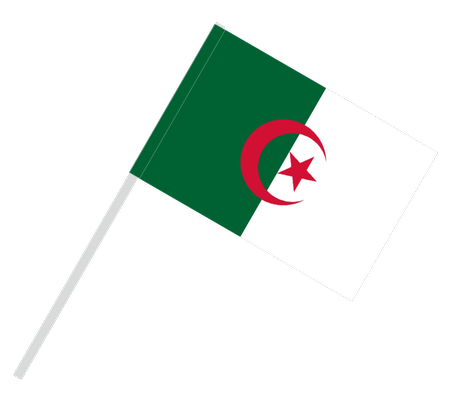 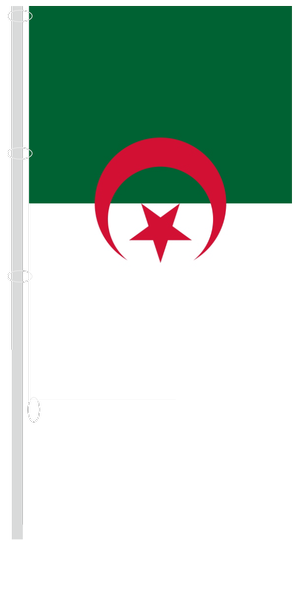 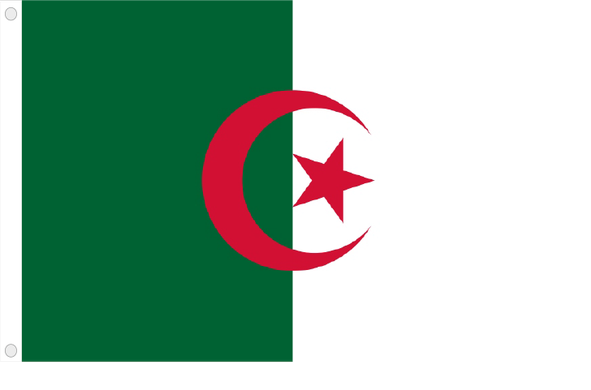 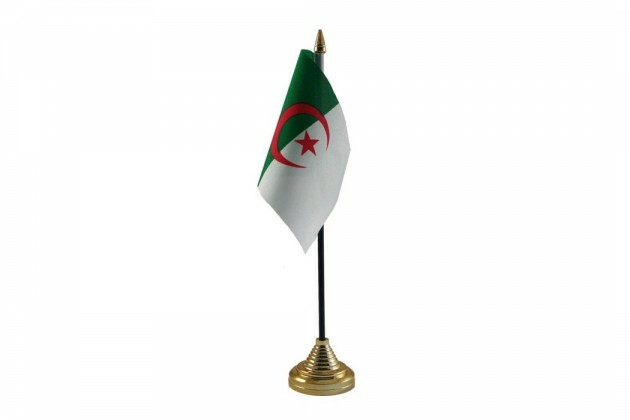 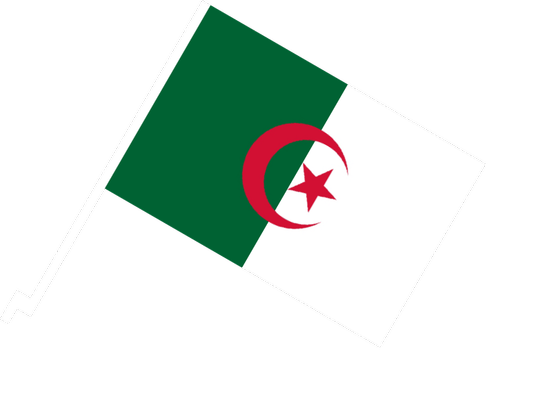 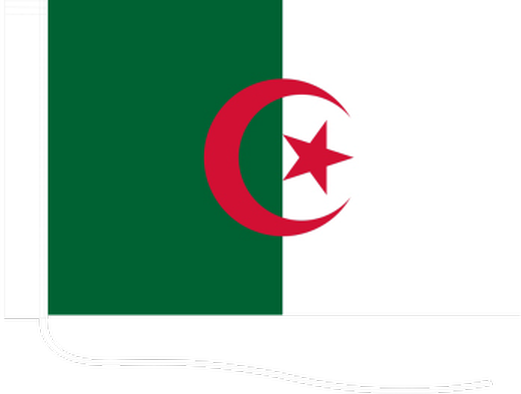 The flag of Algeria became a symbol of an independent state in 1962. 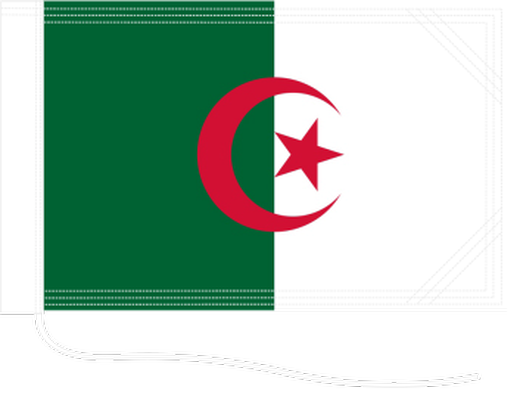 Two equal vertical green and white bands represent islam and purity. 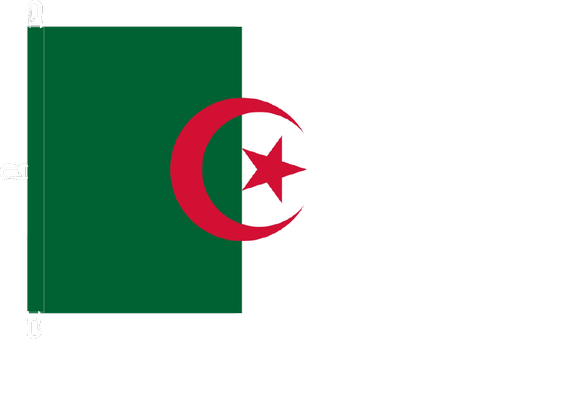 Red Crescent is a sign of Islam and the red five pointed star symbolizes the blood shed in the struggle against the French. 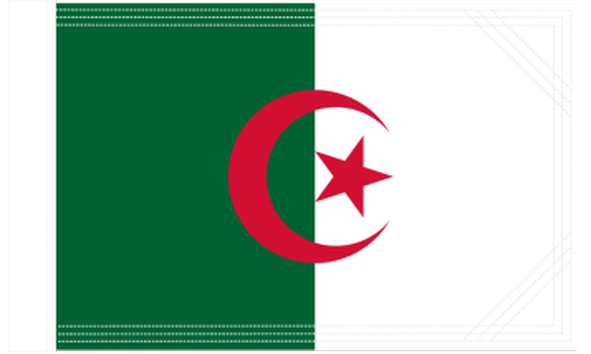 Flag made ​​to order.